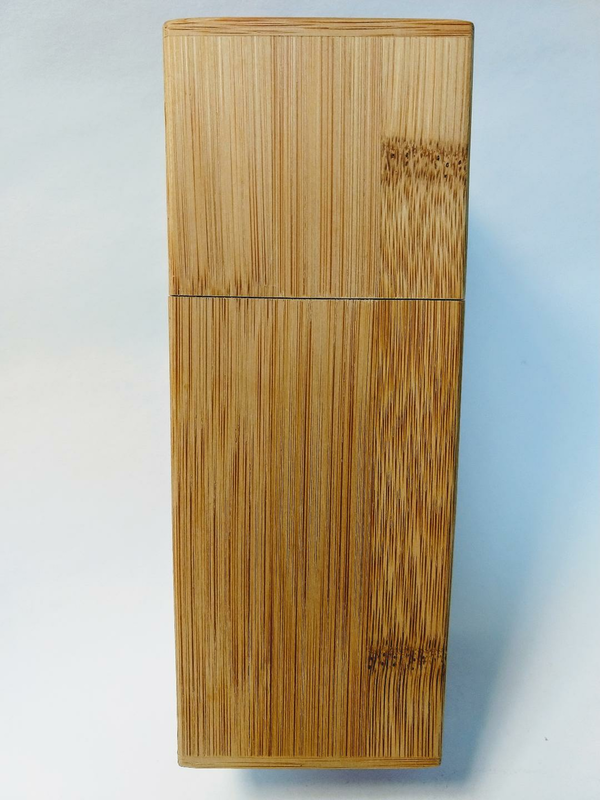 2 3/8" X 2 3/8" X 6 1/4" bamboo tea canister. Lovely to hold and behold. For 3-4 oz. of tea.